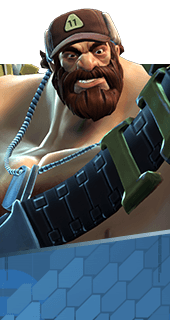 Heatwave is an Ability of Montana in Battleborn. The hotter Montana's minigun is, the more bonus damage it deals. Montana's health regeneration rate increases the lower his Minigun heat is. Montana's health regeneration rate increases the higher his Minigun heat is.